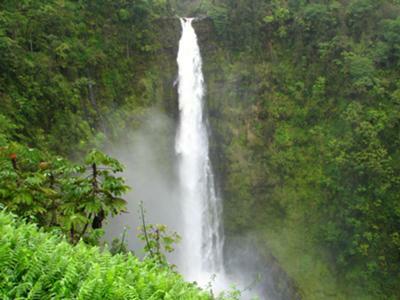 I’ve been there (Akaka Falls) in Oct. 1988 / Sept. 1992 / June 1994 / Oct. 2000 & most recently April 2009 & it was very wet & rainy every time. However, renting a car & driving on Rte. 220 thru the tiny town of Honomu, HI & buying the best Tropical Flavored ice cream’s in Hawaii (Coconut & Mango, etc.) is worth every minute & dollar. 4 times out of the 5 I’ve visited the Hawaiian Islands, I’ve been on a cruise ship & if you enjoy the cruise ship atmosphere, it’s THE best way to visit the Hawaiian Islands. Many people forget the convenience that the ship is your hotel & restaurants all in 1 escorting you to the 4 major islands.